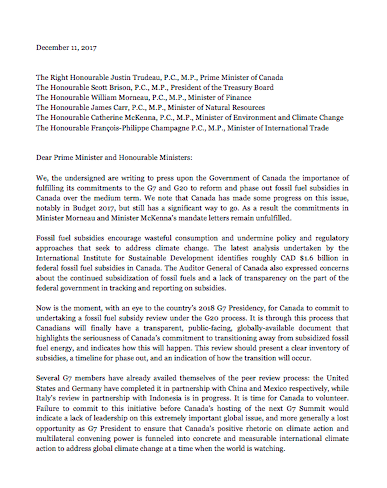 On December 11, day of the One Planet Summit in Paris, two years after COP21, Équiterre and 37 other signatories sent a letter to press upon the Government of Canada the importance of fulfilling its commitments to the G7 and G20 to reform and phase out fossil fuel subsidies in Canada over the medium term. Consult the full letter here. Add your voice and sign the petition Tell the Canadian government to stop giving government money to fossil fuel companies.